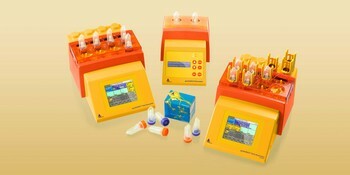 Single-cell suspensions or thorough homogenates from virtually any tissues are easily and reproducibly obtained using the unique C Tubes or M Tubes. These single-use gentleMACS Tubes allow sample preparation in a closed and sterile system, providing a high level of user safety and minimize cross-contamination. In addition to the numerous optimized and ready-to-use gentleMACS Programs, the gentleMACS Octo Dissociator allows the user to develop individualized programs for almost any biological material. The instrument allows independent use of all eight tube positions, different programs can be selected and run individually. For fully automated tissue dissociation browse the gentleMACS Octo Dissociator with Heaters. Additionally, user-defined programs can be used to dissociate or homogenize all other types of sample material. The instrument's touchscreen interface allows easy operation, programming and monitoring. 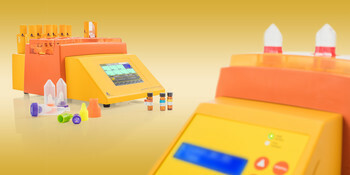 Up to eight samples can be processed separately or simultaneously.